Members of the recently discovered ARID (AT-rich interaction domain) family of DNA-binding proteins are found in fungi and invertebrate and vertebrate metazoans. ARID-encoding genes are involved in a variety of biological processes including embryonic development, cell lineage gene regulation and cell cycle control. 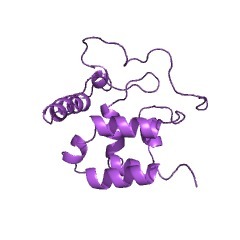 Although the specific roles of this domain and of ARID-containing proteins in transcriptional regulation are yet to be elucidated, they include both positive and negative transcriptional regulation and a likely involvement in the modification of chromatin structure (PUBMED:10838570). 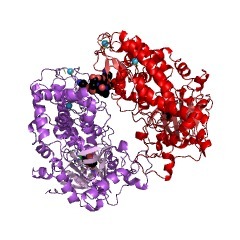 The basic structure of the ARID domain domain appears to be a series of six alpha-helices separated by beta-strands, loops, or turns, but the structured region may extend to an additional helix at either or both ends of the basic six. 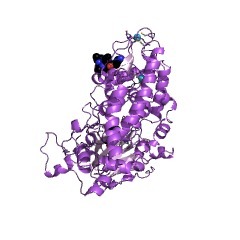 Based on primary sequence homology, they can be partitioned into three structural classes: Minimal ARID proteins that consist of a core domain formed by six alpha helices; ARID proteins that supplement the core domain with an N-terminal alpha-helix; and Extended-ARID proteins, which contain the core domain and additional alpha-helices at their N- and C-termini. There are 12193 ARID domains in 12162 proteins in SMART's nrdb database. Taxonomic distribution of proteins containing ARID domain. This tree includes only several representative species. The complete taxonomic breakdown of all proteins with ARID domain is also avaliable. Click on the protein counts, or double click on taxonomic names to display all proteins containing ARID domain in the selected taxonomic class. A novel DNA-binding motif shares structural homology to DNA replicationand repair nucleases and polymerases. 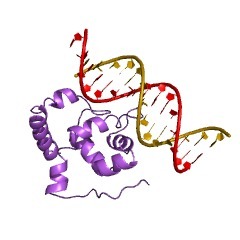 A novel class of DNA-binding domains has been established from at leastsixteen recently identified DNA-binding proteins. 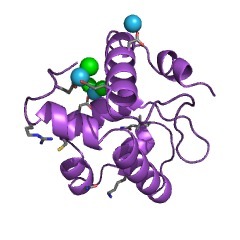 The three-dimensionalstructure of one of these domains, Mrf-2, has been solved using NMRmethods. 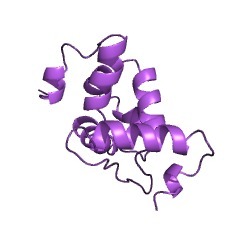 This structure is significantly different from known DNA-bindingdomain structures. The mechanism of DNA recognition by this motif has beensuggested based on conserved residues, surface electrostatic potentialsand chemical shift changes. 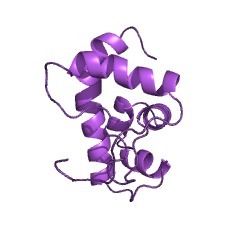 This new DNA-binding motif shares structuralhomology with T4 RNase H, E. coli endonuclease III and Bacillus subtilisDNA polymerase I. 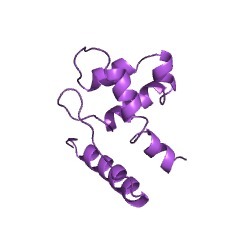 The structural homology suggests a mechanism forsubstrate recognition by these enzymes. Characterization of the dead ringer gene identifies a novel, highlyconserved family of sequence-specific DNA-binding proteins. 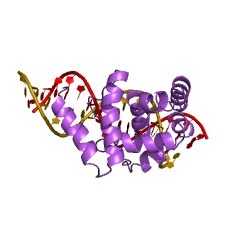 We reported the identification of a new family of DNA-binding proteinsfrom our characterization of the dead ringer (dri) gene of Drosophilamelanogaster. We show that dri encodes a nuclear protein that contains asequence-specific DNA-binding domain that bears no similarity to knownDNA-binding domains. 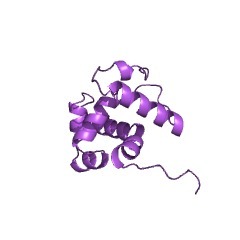 A number of proteins were found to contain sequenceshomologous to this domain. 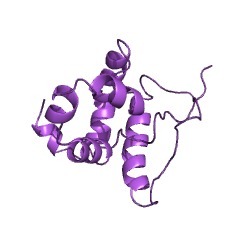 Other proteins containing the conserved motifinclude yeast SWI1, two human retinoblastoma binding proteins, and othermammalian regulatory proteins. 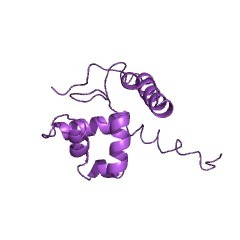 A mouse B-cell-specific regulator exhibits75% identity with DRI over the 137-amino-acid DNA-binding domains of theseproteins, indicating a high degree of conservation of this domain. 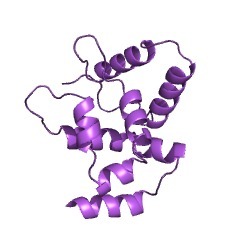 Gelretardation and optimal binding site screens revealed that the in vitrosequence specificity of DRI is strikingly similar to that of manyhomeodomain proteins, although the sequence and predicted secondarystructure do not resemble a homeodomain. The early general expression ofdri and the similarity of DRI and homeodomain in vitro DNA-bindingspecificity compound the problem of understanding the in vivo specificityof action of these proteins. Maternally derived dri product is foundthroughout the embryo until germ band extension, when dri is expressed ina developmentally regulated set of tissues, including salivary glandducts, parts of the gut, and a subset of neural cells. The discovery ofthis new, conserved DNA-binding domain offers an explanation for theregulatory activity of several important members of this class andpredicts significant regulatory roles for the others. 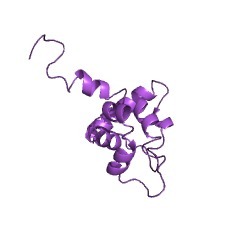 The immunoglobulin heavy-chain matrix-associating regions are bound byBright: a B cell-specific trans-activator that describes a new DNA-bindingprotein family. 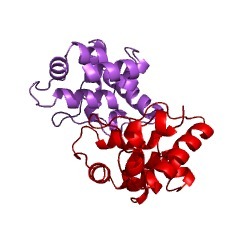 B lymphocyte-restricted transcription of immunoglobulin heavy-chain (IgH)genes is specified by elements within the variable region (VH) promoterand the intronic enhancer (E mu). 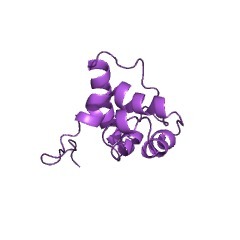 The gene encoding a protein that binds aVH promoter proximal site necessary for induced mu-heavy-chaintranscription has been cloned. 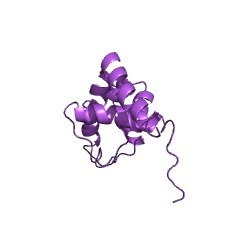 This B-cell specific protein, termed Bright(B cell regulator of IgH transcription), is found in both soluble andmatrix insoluble nuclear fractions. Bright binds the minor groove of arestricted ATC sequence that is sufficient for nuclear matrix association.This sequence motif is present in previously described matrix-associatingregions (MARs) proximal to the promoter and flanking E mu. Bright canactivate E mu-driven transcription by binding these sites, but only whenthey occur in their natural context and in cell lines permissive for E muactivity. 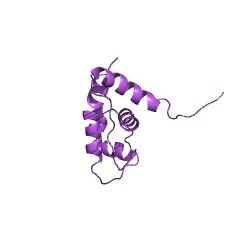 To bind DNA, Bright requires a novel tetramerization domain anda previously undescribed domain that shares identity with severalproteins, including SWI1, a component of the SWI/SNF complex. 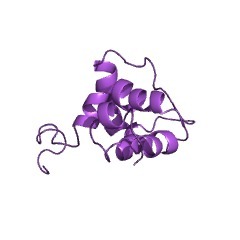 2jrz Solution structure of the Bright/ARID domain from the human JARID1C protein.